A two-year prison sentence was given to four people by a judicial magistrate in Mithi for forcing a 14-year-old Hindu girl to marry a 55-year-old man, a private media outlet reported on Tuesday. Apart from the sentence, the four convicts were also a fine of Rs5,000 each. The girl’s husband Ponomal, her father Palomal, the pundit Santosh, who officiated the marriage, and another man Mohan who acted as facilitator had been charged under Sindh Child Marriage Restraint Act 2013. Earlier this year in March, the girl’s mother and other relatives had accused Palomal of selling off his daughter to a Ponomal for Rs70,000 following which the police had arrested them. A first information report was filed on behalf of the state under Sections 3, 4 and 5 of the Sindh Child Marriage Restraint Act, 2013. 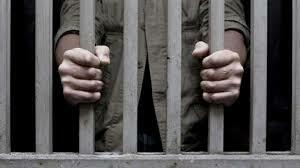 The convicts will be sent to a jail in Mirpurkhas to serve their time. Their lawyer, Mohen Manthrani said that it was the first time a court in the region had convicted anyone under the Sindh Child Marriage Restraint Act, 2013, since its passing. Child marriage is a punishable offence in Sindh. According to the Child Marriages Restraint Act, a child marriage includes any marriage where one of the contracting parties is less than 18 years of age. Those found guilty of entering into, or facilitating, a child marriage can be sentenced to rigorous punishment for up to three years.